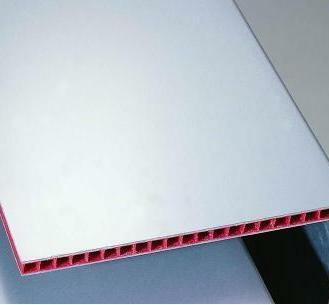 It is also referred to Alumacorr, which is made by corrugated plastic panel laminated with aluminum on both two sides. 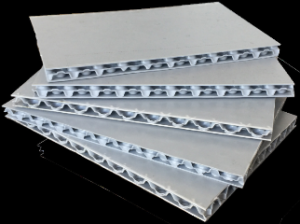 Alumacorr/Aluminum Corrugated Plastic Panel is widely used in construction, indoor decoration, outdoor advertisement, sinage etc,which is good in place of MDO, aluminum blanks, vinyl panels and wood core panels. Copyright © Everplast Industrial Co.,Ltd; All Rights Reserved.